Most people will know King Henry VIII had six wives, and some will know that in order to have his marriage to his first wife Catherine of Aragon annulled, so he could marry Anne Boleyn, he took the drastic step of splitting from the Catholic Church and became the Head of the Protestant Church of England so changing this county’s religion. However few realise that this latter action was to create a legacy that continues today and which helps every genealogist to their research family histories in England and Wales – parish registers. Parish registers were introduced on 5th Sept 1538 by Thomas Cromwell, the advisor to King Henry VIII after he took a trip around Europe and realised that other countries did this. Thomas had the key role in establishing the Church of England after the King left the Church of Rome (the Catholic Church). Sadly Thomas was executed for treason two years later. The 1538 Act requiring parishes to keep these registers was not initially very popular as many thought that it would create a new way for the King to tax his people, however no tax was attached to these records. This was not a totally new idea as some parishes already kept such records, but this was the first time it became a National requirement. Even so this system of registration was not fully implemented until the reign of Henry’s son King Edward VI who re issued the order that these records should be kept, possibly because some ministers either did not see the point of doing it, or thought it was too much extra work. In 1597 Queen Elizabeth made changes to improve the system. The most important change was to ensure that quality of the paper used was improved. Until this date only the cheapest paper had been used for economic reasons, however it was quickly realised that the cheap paper was not good enough and had disintegrated before the end of the century. From this time onwards parchment books had to be used. Queen Elizabeth also instructed that, due to the poor quality of any surviving registers, copies of all registers that dated from the beginning of her reign in 1558 should be made on parchment. So, although parish registers were implemented in 1538 few originals survived before 1597 and there are only copies of registers between 1558 and 1597, with a very few exceptions. Another major change which helps family historian today was the requirement for church wardens to make a full copy of all the registrations of the past year and send those to the Bishops within a month of Easter. These are called Bishops Transcripts and can be viewed if the original record was damaged, lost or destroyed. However, as a transcript, errors can be made in the copying process so it is also better to look at the original register if possible. destroying a baptism record so that they could inherit rather than an older brother etc. creating a marriage record if no marriage took place, or destroying it if they no longer wanted to be married. The Bishops Transcripts provided legal evidence of what the originals contained. However, once again the quality of this work was not always very good and in some cases the copies proved to be useless. The English Civil war caused turmoil and in some places entries to parish registers either ceased or entries became scarce – in a time of war they are not the highest priority. The end result was the execution of Charles I, and the start of England becoming a ‘Commonwealth’ Republic for a short period of time. In 1653 the Commonwealth government made recording births, marriages and deaths a civil matter in secular “Parish Registers”. All marriages were now performed by the Justice of the Peace. Sometimes the church registers were handed over to the new Parish Registrar so entries appear with no break, in other cases the church registers ceased to be updated. This new system was not a success. In 1660 with the restoration of the monarchy, the old system was restored, and all civil marriages since 1642 were legitimised by the church, to ensure that their children were not classed as illegitimate. This is the main reason why some churches do not have any parish registers for the Civil War or Commonwealth period, but sometimes these gaps are not understood and can result in different explanations. In the case of Rowley Church in East Yorkshire, it was commonly believed that Ezekiel Rogers, its minister who migrated to America in 1638, took the registers with him, however the Bishop Transcripts exist up to 1640. As the existing parish registers for Rowley start in 1653 it is likely that earlier registers were lost or destroyed during the Civil War. To complicate matters the standard of recording keeping as a whole was not good. Ministers or churchwardens would make a note of the baptism, marriage or burial on a scrap of paper or in a separate ‘day’ book, and then forget to record it in the register or make a mistake in copying the details. Elderly or ill ministers may neglect recording the events altogether. The baptism registers for Wendling, Norfolk have a 40 year gap between 1678 and 1718, as one minister never recorded any of them, and Market Deeping in Lincolnshire also has missing registers as they were torn into pieces by the minister’s wife. Originally all events were recorded in Latin in the same book, sometimes in chronological order and sometimes starting in different parts of the book. 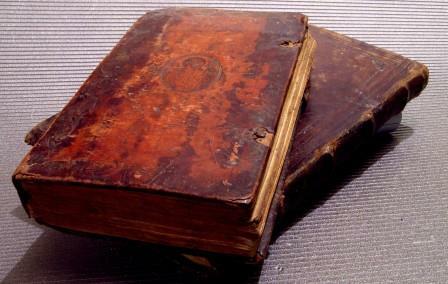 Originally only larger parishes had separate books for baptism, marriages and burials. All parish register entries were very brief with few details. The main reason is that small populations at the time meant that most people knew everyone who lived in their small town or village, and no one thought that we might want to use them over 400 years later! Baptisms would simply give the date of baptism, the name of the child and the name of his/her father. Marriages just gave the couple’s names and date of marriage and burials simply gave the date of burial and the name of the deceased. In 1754 the Hardwicke’s Marriage Act came into effect and ensured that marriages were recorded on standard forms. Parents were still not recorded but witnesses were. Banns and marriage licences were introduced at this time as was the requirement that at least one of the parties lived in the parish in which they were to be married. However some ministers would accept payment to allow couples to marry in their church even if they were not residents of that parish. Only the Church of England, Jewish and Quaker marriages had any legal standing. Non-conformist (Methodist and Catholics etc.) had to marry in the Church of England for their marriage to be legal and any children legitimate. In 1777 Archbishop of York decided that the Parish register format as suggested by the Rev. William Dade should be adopted throughout Yorkshire. These became known as the Dade Registers. Baptism registers noted the name of the child, his or her order of seniority in the family (2nd son etc. ), the father’s name and occupation, the names, occupations, and places of residence of the paternal and maternal grandparents (and sometimes even a great‐grandparent), the date of birth, and the date of baptism. The burial registers provided similar information and gave the date and cause of death and the age of the deceased. These contained much more information than the previous format and would have been extremely useful to today’s family history research had they been kept. In 1783, the Rt Rev. Barrington created a similar system to Dade’s in Northumberland and from 1798 in Durham. In both cases many clergy found writing the extra information very time consuming as some opted not to follow the orders. As they were never punished for this, more registers included only the briefest detail. All of this finally came to an end when George Rose’s 1812 Act, came into force. This required more information to be recorded than in normal registers, but less than suggested by Dade and Barrington. When the 1812 Act came into force in 1813 both baptism and burial records were standardised. Baptisms now gave the name of both parents, (although the mother’s maiden name was not always recorded), the fathers occupation and the place of residence of the parents at the time. Burials only asked for the name, age and place of residence of the deceased, however in the cases of wives and children the name of the husband or father may have been added. Another change to the marriage registers occurred when Civil Registration was introduced in 1837 so that both civil and parish marriages forms where basically the same. Finding the parish register that contains the baptism, marriage or burial of your ancestor can be very frustrating as not only did people move around to find work on a regular basis, they may also have changed parish church because they did not like the new minister, a new and more convenient church opened, or the church closed. Remember also that these are Church of England registers; if they converted to a non-conformist church or chapel then the area covered was different to that of the Parish Church. Migration was more common that most people expect, and whole families would move to another part of the country for work if necessary, so check the census returns (from 1841 onwards) as the place of births may give you a clue as to where to look. Even though your ancestor may have been a non-conformist, until 1837 it was necessary for them to marry within the Established Church for legal reasons. Many marriages also occurred in the home parish of the bride, not necessarily the parish she was living in due to work, but possibly the parish her parents were living in. One of the hardest calculations to do is to determine how old an ancestor may have been when they were married. Before Hardwick’s Marriage Act in 1753 there was no age of consent to marry nor was parental consent required. After 1753 the minimum age you could marry without parental or a guardians approval was 21 however the legal age people could marry with consent was often much lower than that. Up until 1929 boys aged 14yrs and girls aged 12yrs could marry with consent, the Age of Marriage Act 1929 raised this age to 16 for both boys and girls. If a minister knowingly married a couple under the age of 21 without consent, then he risked being transported for 14 years, however as no proof of age was requested the couple could just lie about their ages. To discover how reliable the parish registers are my earlier blog: How reliable are Parish Registers?